Located at St Mary the Virgin, Yate. A much overlooked church, well worth a visit. The parish church of St Mary is dedicated to Saint Mary the Virgin. It is situated in Yate where it's tower formas a prominent landmark dating back to the old Royal Forest lands of Kings Wood. It is mentioned in the Doomesday book of 1086 and there are even earlier records from the 8th century of a church on this site. Although there may have been a Saxon church here, no trace of one remains. many of the Saxon churches were replaced by Norman buildings after 1066 and it was during that time that St Mary's was begun. It was much rebuilt in the 14th and 15 th centuries though suffered, like many churches, in the hands of Cromwell's troups. 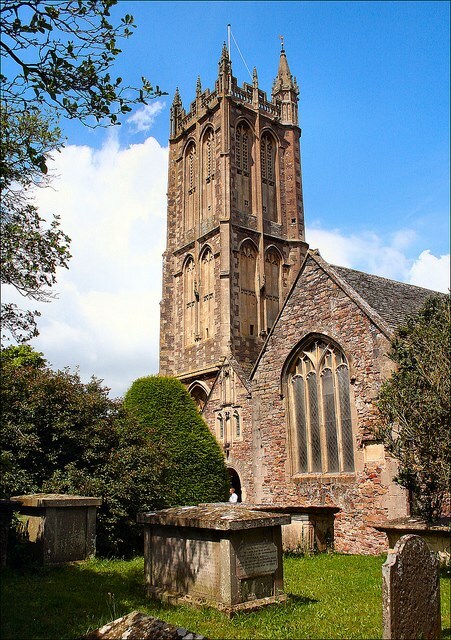 Originally having a central tower, it collapsed after an evening service on a sunday night in 1546, having been built on inadequate foundations which gave way and destroyed the centre of the church. This explains the larger arches, different ceilings and traces of the buttresses that still exist about the chancel arch. St Mary's has remains of Norman and Early English workand was extensively rebuilt during the reign of Henry VIII. It was restored int he 19th century with more restoration work taking place in the 1970's. Haqre n fgbar ng gur onfr bs vil pbirerq gerr.